Investor and IT brand founder. Dieudonne Roger Nzaba (born August 18, 1975 in Pointe Noire, Republic of Congo), is an African businessman with interests in ITC, Investment Holdings, telecommunications, Media and publishing, financial services (banking and insurance), Energy saving and green solutions among others. Since 2006, He has been a chairman and CEO of Itel Group Holdings. 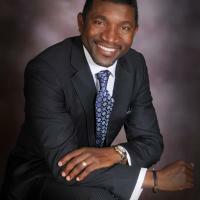 Nzaba was one of the continent first OEM and ODM specialists with his computer brand ITEL being sold around Southern Africa in the early 2000's. Founder and Honorary chairman of the Roger Nzaba Foundation(www.rogernzabafoundation.co.za) that offers Educational bursaries and supports socio-development programs around the African Continent. Nzaba was educated in the Republic of Congo and the South Africa, obtaining a BA (Organizational Sciences: Sociology), an MBA and Doctorate (Sociology) Degrees. Nzaba is a self-made man, working his way to the top .He joined Avotiex import-Export as a driver and warehouse assistant and afterwards Silkent Freight as an import -export clerk. In 2001, after years of experience in shipping and freights forwarding, he formed United Business Services international and subsequently United Business Services Africa in 2003.United Business Services Africa was used by the UN as the outsourcer of choice to transport aid to refugees in the war torn Democratic republic of Congo. In 2005, Dieudonne Roger Nzaba formed Itel Group Holdings, holding company for :Itel computers, Itel Properties, Eastern Outsource and Rio Golden Media T/A Rio24 TV. Nzaba is married to Cherita Christia Nesus Hymath-Nzaba and has 3 children.